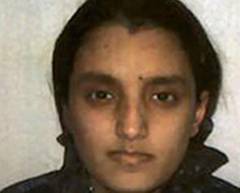 My latest for the Jamestown Foundation’s Global Terrorism Monitor, this time exploring the odd case of Roshonara Choudhry, which friends in the UK tell me is a really rather concerning sign about the levels of radicalization in the UK. It remains to be seen what actually ends up happening in the broader frame, but it is certainly an extraordinary story about how far one can push oneself when persuaded by dangerous ideas. It will be interesting to see what happens with this girl as time goes on. Should anyone see any interesting stories emerge, please let me know. More on the topic of Lone Wolves more generally soon. Thanks also to Peter for taking time to talk to me. The strange case of Roshonara Choudhry first came to the public’s attention on May 14, 2010, when she walked into MP Stephen Timms’ constituency office for an appointment she had made. Specifying that she had to see the MP rather than an assistant, when she arrived for her appointment Choudhry seemed “anxious” to the security guard working in the office (Telegraph, November 2). After a short wait, Mr. Timms came out of his office to greet the young woman, who approached him as though to shake his hand. All dressed in black and wearing traditional Muslim garb, Timms “was a little puzzled because a Muslim woman dressed in that way wouldn’t normally be willing to shake a man’s hand, still less take the initiative to do so” (Telegraph, November 2). In fact, as described by Choudhry, the outstretched hand was a ruse: “I walked towards him with my left hand out as if I wanted to shake his hand. Then I pulled the knife out of my bag and I hit him in the stomach with it. I put it in the top part of his stomach like when you punch someone” (Telegraph, November 2). The security guard and one of Timms’ assistants quickly restrained the young girl, and police and ambulance services were summoned. In an interview conducted hours after her arrest, Choudhry was open in describing her desire to die in the course of her action: “I wanted to be a martyr,” since “that’s the best way to die… It’s an Islamic teaching.”  Prior to her attack, Choudhry decided to clear all of her debts, something typical of aspirant Islamist martyrs (Guardian, November 2). When asked why she targeted Timms in her attack, Choudhry responded, “I thought that it’s not right that he voted for the declaration of war in Iraq,” adding that the ideas for this path of vengeance came from “listening to lectures by Anwar al-Awlaki” she found on the internet. Choudhry appears to have been something of a model student, working up from humble beginnings in East London as one of five children of a Bangladeshi tailor. At the time of her attack, the family was largely living off of benefits and monies the children were able to raise through work. Her background did not prevent Choudhry from earning a place at the prestigious King’s College, London, where she studied English and Communications. In her spare time, she volunteered at an Islamic school and was seen as a prize student on course to achieve a first-class degree (the highest level in the British university system) (Guardian, November 2). According to Choudhry, it was a video featuring the late Shaykh Abdullah Azzam (1941-1989) and his instruction that it is “obligatory on everyone [i.e. every Muslim] to defend [Muslim] land” that pushed her into the decision to act sometime in April 2010. At this point she decided to seek revenge on a member of the British parliament who had supported the invasion of Iraq using public information websites and a radical website called RevolutionMuslim.com that provided a list of MPs who had voted in favor of the Iraq invasion. Timms was specifically chosen because according to websites she had found, “he very strongly agreed with the invasion of Iraq.” Another factor was Choudhry’s own experience of meeting the MP as part of a school trip sometime in 2006 or 2007. What is striking about the choice of Timms is that during this first meeting with the MP, Choudhry recalled a fellow student questioning Timms over his support of the war and of feeling that “she [the student] should be quiet and that she’s embarrassing herself.” Four years later, Choudhry had been radicalized to the point that she was willing to murder the same MP. In the wake of Choudhry’s arrest, there was a spike of attention in the British media about the radicalizing impact of websites. In a speech in Washington, DC, Security Minister Lady Pauline Neville-Jones raised the issue of YouTube hosting videos by radical preachers and other US websites that hosted material she described as “inciting cold blooded murder” (Guardian, November 3). On November 17, British police arrested 23-year-old Bilal Zaheer Ahmand from Dunstall, Wolverhampton for soliciting murder and possessing information likely to be useful to terrorists. The young man was allegedly linked to RevolutionMuslim.com, which published the list of MPs who had voted for the Iraq war and a post which praised Choudhry as a “heroine” (BBC, November 17; Telegraph, November 17). Whether Ahmand will be successfully convicted is still in question. A trial in July against Mohammed Gul, a 22-year-old London student who was allegedly uploading radical videos to a website and who was in contact with extremists abroad, concluded with a hung jury and will go to retrial next year (Romford Recorder, July 27, 2010; Daily Mail, February 24, 2009). For Choudhry, however, the future is clear; on November 3 she was sentenced to life imprisonment with a minimum of 15 years. She is currently being held as a “Category A” prisoner, meaning she is subject to intrusive strip-search regimes every time someone visits, something she finds demeaning and against her faith and which has, as a result, kept her in isolation since her incarceration (Guardian, November 2). 1. Peter Clarke, interview with author, November 2010. 2. Unless otherwise indicated, Choudhry’s quotes are taken from her police interview, published by the Guardian, November 3, 2010:http://www.guardian.co.uk/uk/2010/nov/03/roshonara-choudhry-police-interview. This is an interesting case and one point I think you missed is that Choudhry is a woman prepared to use violence. There are to my recollection very UK cases of women being involved in violent action; the other well known case was the ‘Lyrical Terrorist’ at Heathrow Airport. What were the overt signs of disengagement from the “mainstream” whilst at Kings College? Did anyone notice the changes before her action and arrest? I fully accept there is a great distance between disengagement and violent action. The reports on the Nigerian bomber do not offer much help on these two points. 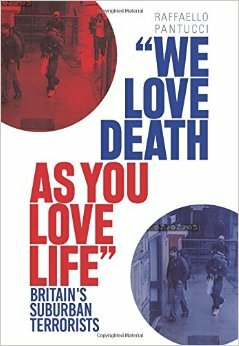 According to Peter Clarke..“we are nowhere near getting the counter-narrative [to jihad] through”. I am not even sure the UK has a counter-narrative to offer, let alone the delivery mechanisms required. One reason for our national weakness is that politicians, at all levels, have left too much to the professionals – notably in Whitehall and the police. For too long the police appeared to be the ‘lead’ in Prevent, a role they were simply not suitable for. Where is the contemporary equivalent of the Political Warfare Executive, from WW2? Oddly I find that community activists at the “grass roots” have a far better understanding of a counter-narrative, both the message and the means to deliver.